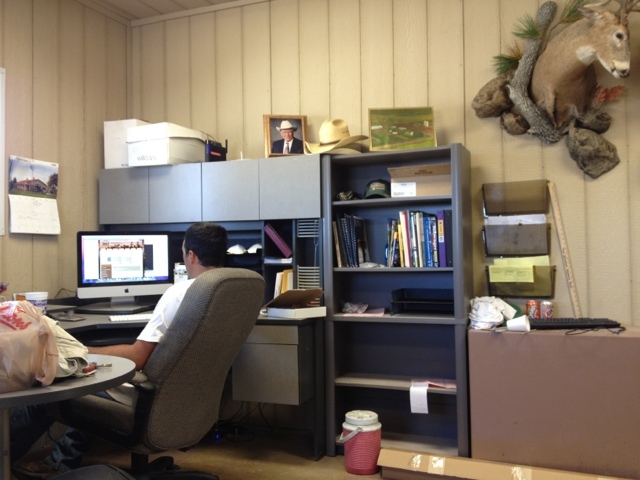 Grant is working hard buying cattle on the Internet. It's not like FarmVille. These show up in a big truck hungry.